Running a demanding operation requires speed and efficiency to meet customer expectations and having a trusted partner who understands the specific needs of your business is key to success. 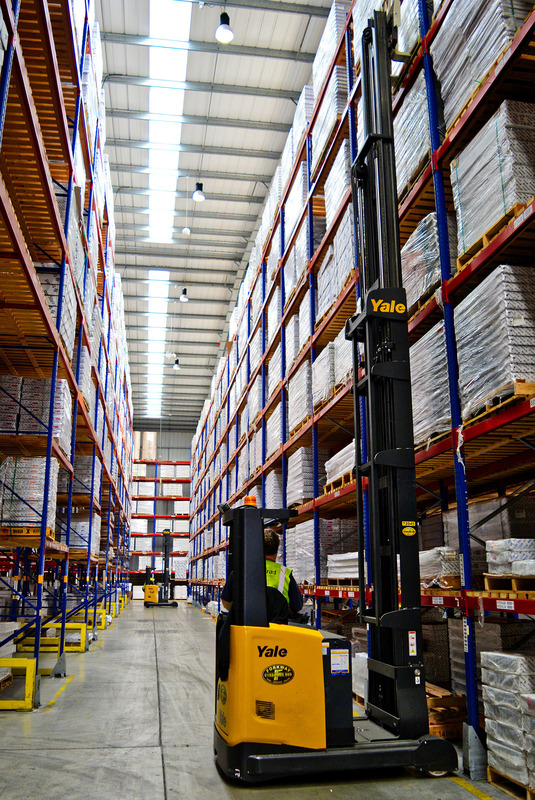 When Stelrad recently expanded its National Distribution Centre and required a new materials handling solution, it turned to Yale® sub-dealer, Forkway. “Forkway is our sole supplier for materials handling equipment and has played a significant role in the development of our warehousing and distribution operation,” – Paul Schofield, Warehouse and Distribution Manager for Stelrad. 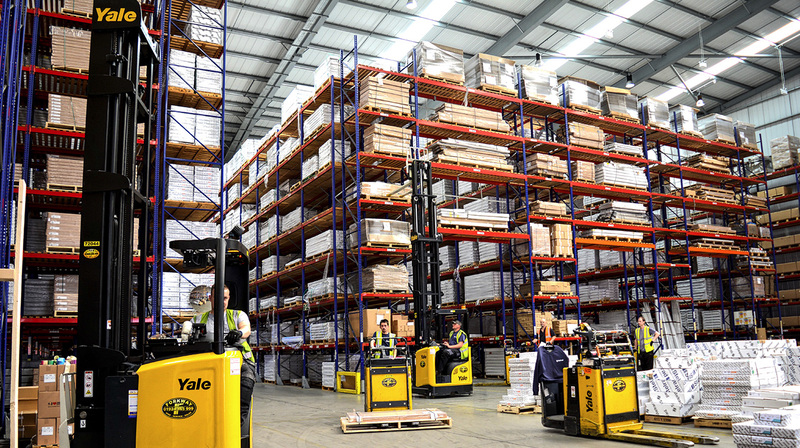 After increasing the size of their distribution centre to 160,000 square feet, Stelrad required a materials handling solution designed to maximise productivity levels and maintain their customer delivery success rate. 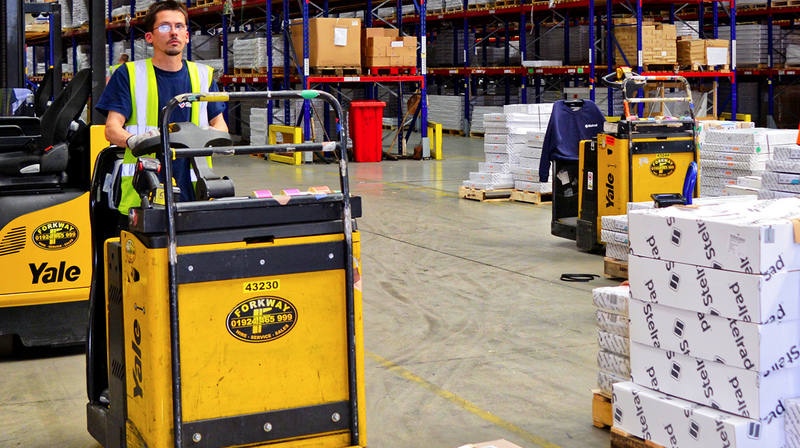 “The service team has initiated a tailored materials handling equipment service programme that demonstrates their total understanding of our operational requirements. I have always been impressed with Forkway’s consultative approach of looking at our operational requirements and proposing solutions tailored to suit our needs,” – Paul Schofield. This entry was posted in Case Studies, Dealers, Electric, Forkway, Manufacturing Sector, MP20X, MR20HD, Pedestrian Awareness Lights, Platform Pallet Truck, Reach Truck, Reach Trucks, Stelrad, Veracitor, Warehousing and Distribution and tagged Dealer, Forkway, Radiators, Stelrad, Yale, Yale GLP18VX Veracitor, Yale MP20X Platform Pallet Trucks, Yale MR20HD Reach Trucks. Bookmark the permalink.